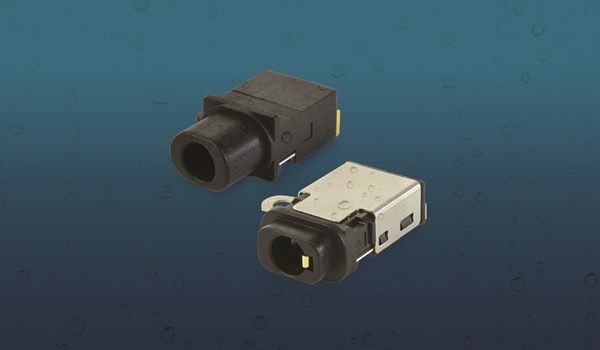 CUI’s Interconnect Group today announced the introduction of waterproof audio jack connectors with Ingress Protection (IP) ratings of IP67. The audio jacks are available in surface mount, mid mount SMT, and through hole mounting styles, while featuring right-angle orientations, 4 conductors, and conformance to the 3.5 mm audio standard. With compact form factors and profiles as low as 5.3 mm, these waterproof audio jacks help designers create a sealed barrier between their device and the environmental contaminants often encountered in consumer electronics, mobile, and industrial applications. CUI’s waterproof stereo jacks are rated up to 10,000 mating cycles and offer operating temperature ranges up to -30 to +85°C. Shielding, an internal switch, mounting tabs for added stability on the PCB, and reflow solder compatibility are also available depending on the series. All models comply with the most recent RoHS standards and carry a UL94V-0 flammability rating. These IP67 rated audio jacks are available immediately with prices starting at $1.96 per unit at 1600 pieces through distribution. Please contact CUI for OEM pricing. Sorry, there was a problem submitting your form. Please review the highlighted fields below.